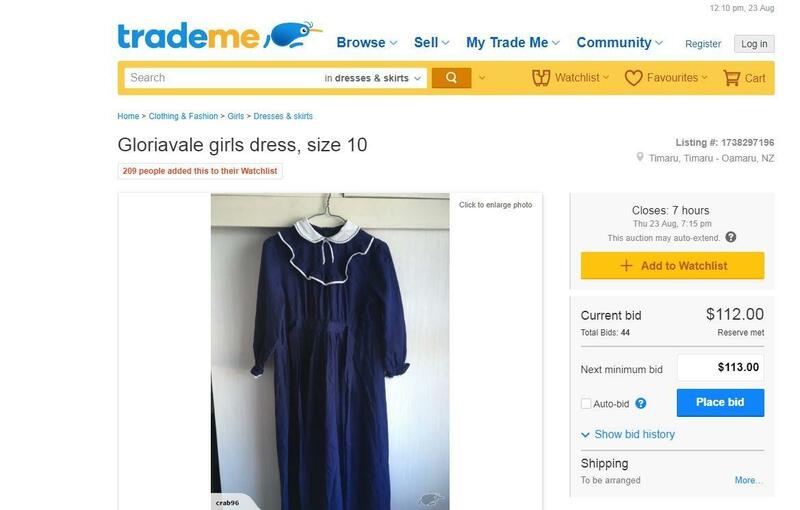 Interest is growing in a number of authentic Gloriavale dresses for sale on Trade Me. Last week the seller, who is based in Timaru, listed the dresses on the website. The dresses range in price from $45 to $111 and hundreds of people have added the dresses to their watchlist. A family of 11 left Gloriavale for Timaru a fortnight ago because of the secluded community's new leadership. Newshub understands nine children aged between 15 months and 16 years old along with their parents left the West Coast religious community. Gloriavale founder Hopeful Christian died age 92 in May, sparking a battle for control within the community.